1-2-3 Sports! Week of November 23, 2018 | 1-2-3 SPORTS! 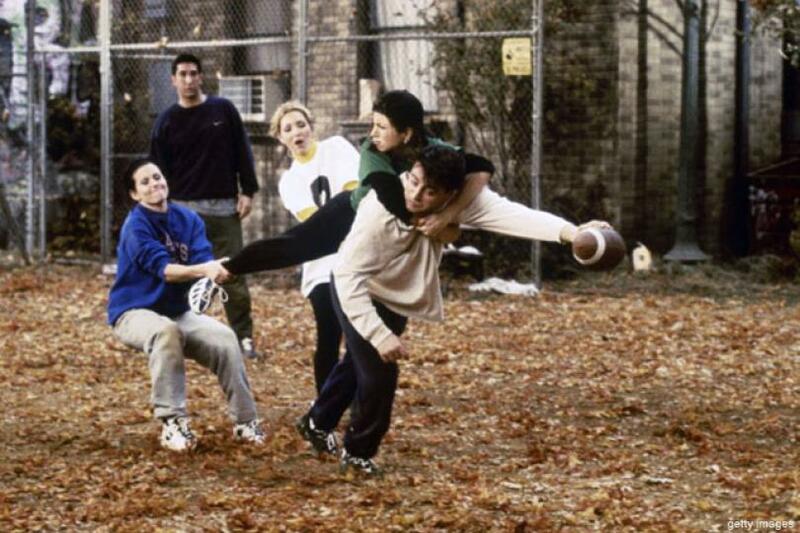 I hope you dominated your family’s Thanksgiving football game. PAL is in Paris this week, so it’s an all you can TOB buffet. 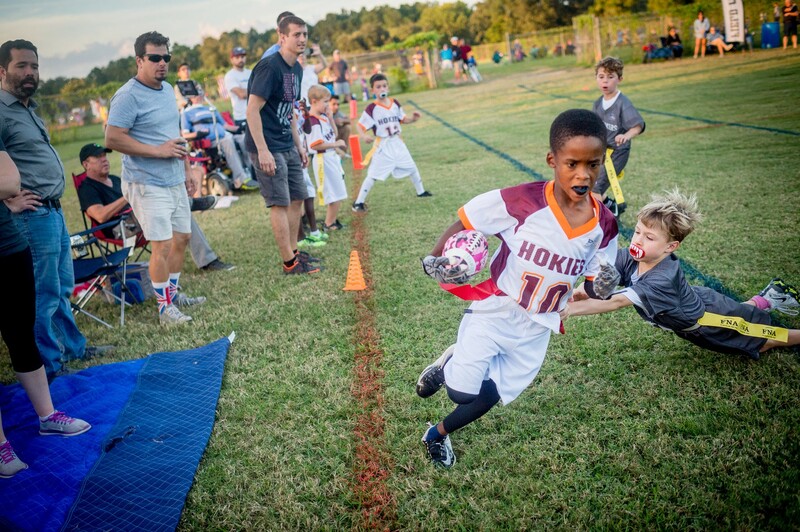 Amidst growing awareness of the dangers of playing football, participation in flag football is on the rise. It is America’s fastest growing sport – approximately 1.5 million kids aged 6-12 years old play the game, which is 100,000 more than the number of kids the same age that play tackle football. That’s kind of astounding. One perhaps unlikely flag football champion is Saints’ QB Drew Brees. Brees himself did not play tackle football until high school, and his three sons all play flag football, as well. Plenty of other former college and NFL players and coaches do not let their kids play tackle football. Dave Wannstedt, former NFL player and head coach, told his daughter he did not recommend her son play tackle, so he plays flag, too. Concerned that the sport of football would die if parents don’t let their kids play at all, Brees threw money into a flag football league, which has quickly expanded to eleven cities. The NFL, too, is pumping money into youth flag football leagues, pledging an annual grant to the Boys and Girls Club, and even airing a flag football tournament on its NFL Network last summer. Huzzah, huzzah, huzzah. I am a Steph Curry stan, there’s no mystery there. I celebrate that fact. Steph is great and awesome. The greatest shooter of all-time, and it’s not close. A fantastic ballhandler and playmaker. Not a good defender, but he tries, damnit. When the Warriors signed Durant more than two years ago, people wondered how the two players with very different games would co-exist. In the two-plus seasons since Durant linked up with the Warriors, the team is 21-20 when Durant has played and Curry has not. When Durant sits and Curry doesn’t, the team is 25-9. This season, Golden State is +118 in Curry’s 399 minutes, and -8 in the 470 minutes he’s sat out. In the six games he’s missed, the Warriors make five fewer threes per game and dish out six fewer assists per game. Klay Thompson is 15-for-55 from three without Curry, and Durant is 3-for-21 from the same distance over the same period. The numbers bear out what the eye test plainly shows: the Warriors just don’t pass as much or as effectively without Curry, thus taking worse shots and making them less often. Durant is a supremely gifted scorer, but he too often reverts to late-OKC-era isolation ball when he’s given the reins to the offense. It’s not that Durant is unfit to lead the Warriors or that he’s any less talented than Curry; rather, Curry’s penetration, court vision, and gravity open up the court for his teammates more effectively than any other player in basketball. Not only can he pop it from the half-court logo when he wants, he breaks the fabric of the game with his drives and tees up all manner of open shots for his teammates. Note: Since Redford wrote the above, the Warriors lost another game, to KD’s former team the Thunder, by 28 points. That brings the team to an extremely mediocre 21-21 with Durant and without Curry. Look, LeBron is one of the two greatest (if not the greatest) player of all-time. I’d take him every time to win a single game or in a game of one-on-one. But Durant isn’t even close to that level, and Curry’s injury is laying bare the truth: Curry changes the game more than any player in the league, possibly in my lifetime. He is great not just because he’s the greatest shooter of all-time. He’s not Kyle Korver, standing on the three-point line waiting until his defender sags off of him so he can catch and shoot. And he’s not JJ Reddick, running around screens and taking hand-offs so he can get open and hoist an uncontested shot. Curry does it all, from 30-feet and in, and he does it off screens, off the catch-and-shoot, and most impressively, off the dribble while defended. 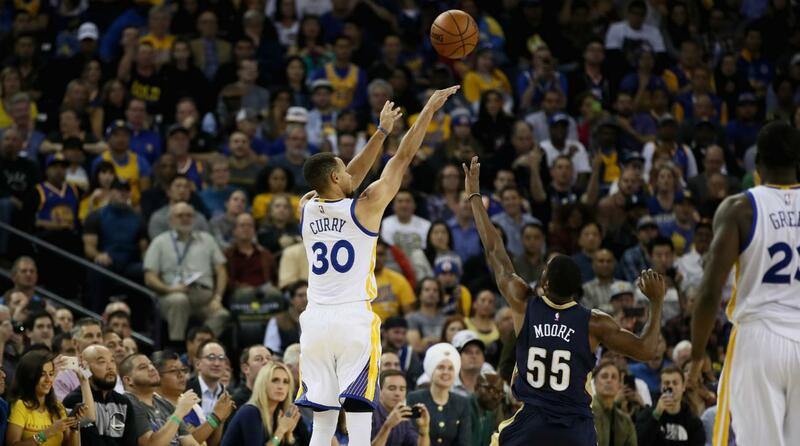 But what sets Curry apart even more is his ability to also create shots for teammates. He creates space for everyone with his shooting range, and then uses his ball handling skills to draw defenders and find his teammates for easy baskets. Durant does practically none of that. As I said last week, his game is so boring I almost fall asleep when I see him working for a turnaround 15-footer. 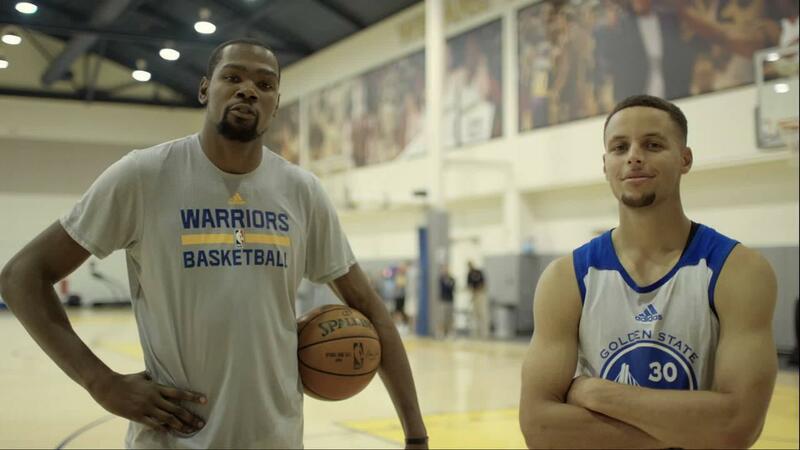 Steve Kerr has said that Durant is better than Steph. But he’s a good coach and we know he’s lying, as a good coach should. Curry is supremely confident in his own skin, in his own skills. Durant is not confident in either, and needs to have his ego stroked. But that’s ok. We know the truth. Curry is the league’s most valuable player. Durant isn’t close. Follow-Up: KD Is Losing His Mind. 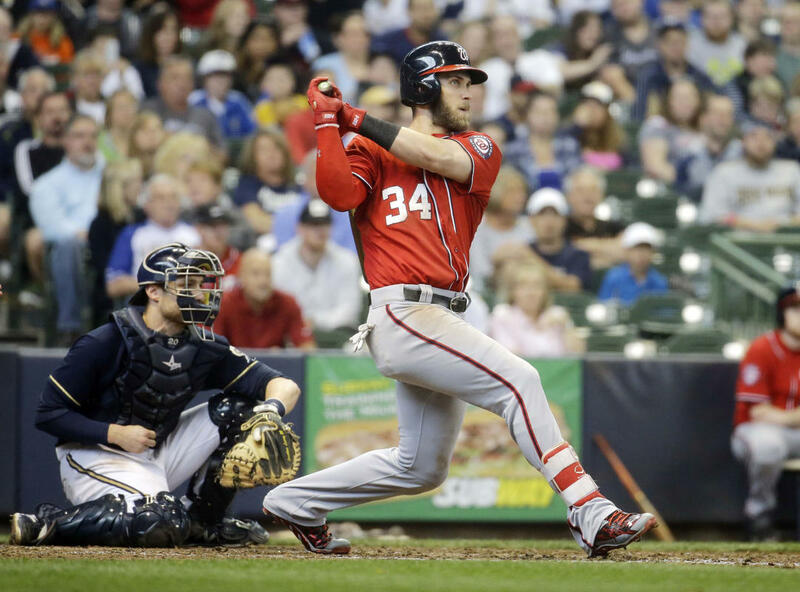 26-year old, former wonderkind, and 2015 NL MVP Bryce Harper is a free agent. A handful of teams have planned for this winter for the last five years – hoping to have a chance to sign the guy who, at age 22, had a ten WAR season, while hitting 42 dingers and a slash line of .330/.460/.649 for an OPS of 1.109, and an OPS+ of 198, meaning he was 98% better than league average. My goodness. But quietly, Harper has sandwiched that 2015 season with some rather pedestrian WAR totals: 3.7, 1.1, 10.0, 1.5, 4.7, 1.3. Harper’s minus-26 defensive runs saved—the Sports Info Solutions stat that forms the basis of Baseball-Reference’s flavor of WAR—ties him with Hoskins (and 2011 Logan Morrison) for the 12th-worst total of all time. Other defensive stats have Harper costing the Nationals fewer runs, but he doesn’t fare much better in their ordinal rankings. Harper also brought up the rear among outfielders in UZR and Total Zone and ranked second-worst behind Blackmon in Baseball Prospectus’s FRAA. Statcast-based metrics were only marginally more kind: SIS’s Statcast DRS, which takes positioning into account, had Harper fourth worst among outfielders, behind Hoskins, Blackmon, and Adam Jones. And MLB Advanced Media’s Statcast-based outs above average (OOA)—which considers range but not throwing—ranked Harper sixth worst among 174 players with at least 50 outfield opportunities. Sabermetric writers have warned readers about the vagaries of single-season defensive stats for as long as they’ve existed. But when every stat points to a fielder as one of the worst—including stats based on different data sources, some of which (Statcast) are more sensitive and, in theory, more dependable in small samples—there’s probably some signal in the often-noisy numbers. A bit more understandable, but c’mon. That route was so bad it was one I could have taken. Watching these plays, I am struck by two things: one, there are a couple of those that look like a beer league player who has no idea how to judge a fly ball; and two, the guy who was smashing his face into walls trying to make every catch, as a 19-year old rookie, seems less eager to do so now. Which does make me wonder: was Harper protecting his body in order to ensure a massive payday well over $300M (Reports are that Harper already turned down a 10 yr/$300M offer from his current team, the Nats)? When his agent, Scott Boras, negotiates that money, and teams show the low WAR totals and plays like those, will Boras have the guts to make that argument? And will teams buy it? Or, catch-22, in protecting himself, did he potentially cost himself a lot of money? Actual footage of PAL in Paris this week.